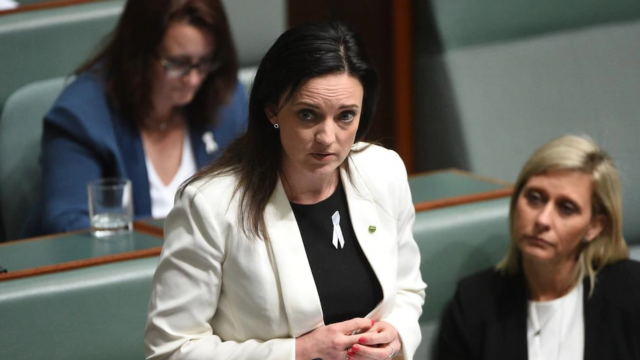 The details of the allegations against Emma Husar scandal should serve as an example. When it comes to scandals, a culture of protection obviously exists, as parliament is divvied into two disparate parties: those who have protection, and those who don’t. One staff member alleged that on June 19, 2017, at approximately 7:05 pm, while in Labor frontbencher Jason Clare’s office, Husar performed the revealing leg-crossing move made famous by Sharon Stone in the film Basic Instinct. Regarding the above, Clare has “categorically denied” the allegations. This is not a knock on Buzzfeed, nor is the work of the journalist who wrote the piece; whether the above is true or not is not the point. The point is the noticeable difference between similar scandal. While the Husar investigation remains unresolved, we already have the details of the allegations. Something to take, analyse and twist, if that’s your thing. Whatever your goal, it is now up for discussion. Thanks to whoever leaked it to Buzzfeed, we have details. The fact that full details are not known, is the full point. Maybe the only difference between the two is a leaked pile of paperwork to Buzzfeed. Maybe, maybe not. While all the animals were equal, so were more equal than others. Maybe I’m wrong. Removing my tinfoil hat, and through the benefit of assumption, perhaps Barnaby’s alleged misdeeds (and the investigations of) were announced when they happened, or maybe they weren’t. Giving Barnaby’s forces the benefit of the doubt, perhaps he just had a really busy couple of months. Back to today. It’s an obvious move by someone with the ALP to rid remove Husar from her post, or in her words, to destroy her. As is with every leak, there’s something to be lost and gained. Husar, much like Joyce, has her job on the line, but unlike the Barnaby, Husar doesn’t have the protection of her colleagues.